Honeywell has announced that it has signed a memorandum of understanding with NCR Corporation to form a global strategic alliance to develop new service solutions combining the core competencies of both firms in support of the retail, supply chain and government sectors. Customers will benefit from future hardware and software solutions resulting from the collaboration of the two firm’s capabilities, intellectual property and resources. The alliance will focus on delivering technology solutions to customers in key sectors, including: retail point-of-sale, supply chain distribution, public sector and federal government information services. With this partnership, Honeywell and NCR will collaborate in markets in North America and Europe and will also evaluate opportunities in high growth regions such as India. Honeywell brings to the alliance its core competencies in data capture technologies, distributed smart printing solutions, and wireless mobility computing platforms, while NCR leverages its software and hardware expertise in consumer transaction technologies. NCR’s solutions enable more than 550 million transactions daily across retail, financial, travel, hospitality, telecom and technology and small business. 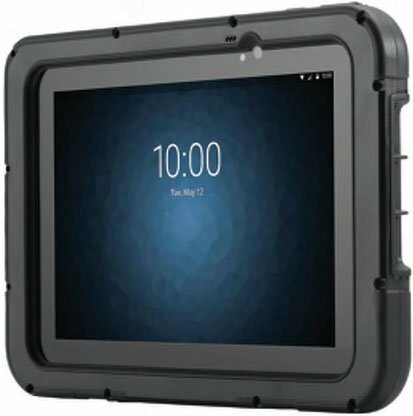 Zebra has introduced the next-generation ET50 and ET55 tablet computers, which combine the best of consumer-styling with the enterprise-class features necessary to increase workforce productivity. With a choice of the Microsoft Windows 8.1 or Android 5.1 (Lollipop) operating system (OS) and two different display sizes, businesses can choose the modern enterprise-grade tablet that best meets their application needs and technology strategy. A Business Tool with an Enterprise-Class Accessory Ecosystem: Tablets need the right accessories to make them enterprise-grade productivity tools. New vehicle mount cradles are ideal for service technicians, delivery drivers and salespeople on the road while a forklift mount can handle most warehouse environments. Advanced scanning capabilities are available that can accurately and rapidly capture photos, NFC tags, barcodes in virtually any condition and on practically any surface. Hot-swappable batteries augment the built-in battery and deliver 24 x 7 power to field service, transportation and logistics, retail, warehouse, manufacturing and government employees. 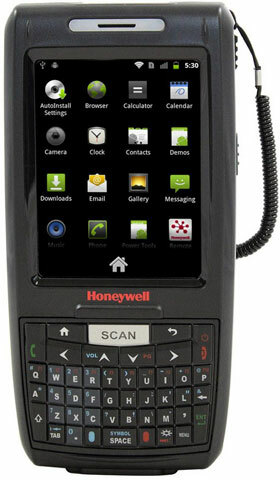 For enterprises that require anywhere, anytime real-time connectivity to business-critical applications and data capture capabilities to maximize efficiency and serve customers more effectively, the Dolphin CT50 is Honeywell’s most advanced enterprise-ready 4G/LTE mobile computer. With support for either Windows or Android operating systems, the CT50 targets highly mobile frontline employees in scan-intensive workflows such as on-demand delivery, field service, and customer engagement who require a truly mobile office with the modern conveniences of an all-touch smartphone and the highest degree of future-proofing to speed business agility and lower total cost of ownership. Frontline employees who need to portray a cutting-edge image to customers can capitalize on the modern all-touch interface offered by the CT50. Featuring a sleek, pocketable design and tested to withstand the rigors of field operations, the CT50 offers a low total cost of ownership and the highest degree of future-proofing. Including a next-generation 2D imager, the CT50 delivers unparalleled data capture performance on linear and 2D barcodes. For enterprises looking to extend the capabilities of Apple’s latest consumer-preferred devices, Honeywell has announced the availability of the Captuvo SL42 for iPhone 6 and iPhone 6 Plus. 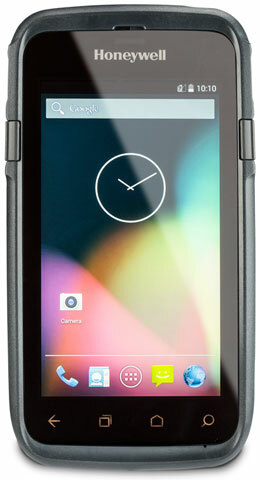 Designed to transform the popular smartphone into an enterprise-ready solution, the Captuvo SL42 targets mobile frontline workers who require real-time connectivity to business-critical applications and superior barcode scanning performance to improve productivity and better serve customers whether in the office, on the road, or in the field. The Captuvo SL42 was built to withstand the demands of work in the field with rugged specifications that extend the lifecycle of the smartphone and eliminate the more frequent replacements required for consumer devices alone. Plus, Captuvo SL42 extends the battery life of the smartphone with the capacity to last a full shift and beyond. The ability to quickly replace the battery ensures mobile users do not lose valuable time servicing customers when a device is out of service for charging. Honeywell’s Captuvo SL42 series is the right solution to help enterprises reduce device acquisition costs, empower employees, increase productivity, reduce downtime and improve the customer experience. BYOD is an appealing concept for workers and enterprise management alike, but the true value of BYOD programs comes down to how well the details are thought through and managed. Not all devices are created equal, so allowing BYOD necessitates making some tradeoffs that can sacrifice performance to accommodate user preference. There are more of these tradeoffs than most people realize, especially when devices are used by workers who perform specialized tasks.